Integration projects continue appearing in the region, again bypassing Armenia. Ahmet Arslan, the Minister of Transport, Shipping and Communications of Turkey, said in a few months the project of building the Kars-Igdir-Arali-Dilucu railway line in the direction of Nakhchivan will begin. He said the new railway will be built with the possibility of launching high-speed trains, which will reach speeds of up to 160 kilometers per hour. The new transport project involves the construction of a 224-kilometer double-track railway line, which will be connected to the Baku-Tbilisi-Kars (BTK) railway, with further access to the Kapykule-Kars railway crossing all of Turkey from east to west and on to Europe. Thus, the Kapykule-Edirne-Istanbul-Eskisehir-Ankara-Yozgat-Sivas-Erzincan-Kars railway is being constructed, which will be connected to the railway networks of Azerbaijan and Iran through the Turkish province of Igdir, bordering Nakhchivan. At the same time, the head of the transport department of Turkey emphasized that the new railway line in Nakhchivan and Iran direction will be of great importance in terms of the growth of freight traffic in the region. In turn, Armenian analysts state an unfavorable fact for their country. A large-scale transport initiative is being taken near Armenia, which, if successfully implemented, can significantly redraw the region’s map in terms of freight and passenger traffic. Iran will certainly interest in the presence of extensive railway infrastructure in neighboring Nakhchivan, with access to Europe. That, in turn, can lead to a weakening of the goods flow between Armenia and Iran, carried out by heavy vehicles through Meghri. So, the role of Yerevan as a transit corridor for Iranian businessmen risks decreasing. 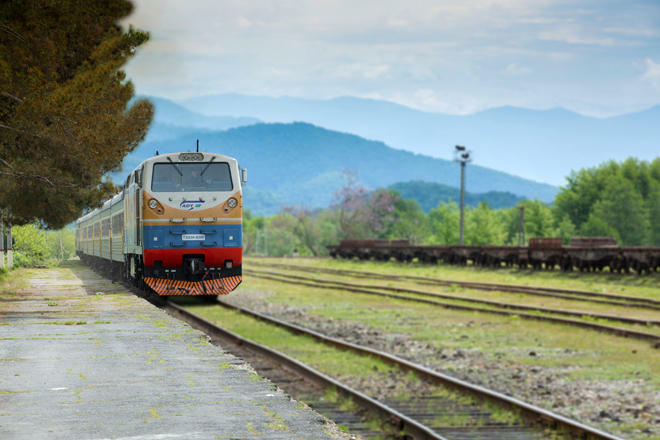 Moreover, there is still no railway line that connected the two countries through the Araz, despite repeated statements by Armenian state figures. It is clearly not necessary to expect its laying in the foreseeable future. Another bad news for Yerevan came from Geneva, which is becoming particularly significant. The first meeting in the trilateral format of Georgian, Russian and the Swiss company SGS representatives took place on the problem of opening an alternative to Upper Lars transport corridor on February 6. Armenian and Russian experts predicted a complete problem resolution by the end of this month, claiming that a corridor would pass through the currently occupied Tskhinvali region of Georgia. Armenia, which turned into a regional deadlock as a result of the occupation of Azerbaijani territories, was waiting for this meeting with particular excitement. However, the special representative of the Georgian Prime Minister for relations with Russia, Zurab Abashidze, hastened to upset the Armenians. He said that the first joint step was made at the meeting, noting that he had nothing more to add to what was already said in the statements of Tbilisi and Moscow. This means that a new routine process has begun, which will continue until concrete agreements are reached, and so far there is no question of implementing the agreement. More than 80 percent of the freight in isolated Armenia is carried out through the problematic Upper Lars checkpoint. All other corridors pass through the occupied territories of Georgia and for this reason, are closed. Azerbaijan has nothing to do with the Upper Lars issue, but the Armenian side is still trying to find in its disappointments the “Baku hand” and the result of the Baku lobbying, which allegedly affects Tbilisi. Yerevan expected that certain pressure from the EU would be put on Georgia in opening corridors, as a result of which Tbilisi would make concessions and recognize the "independence" of the occupied regions. However, the EU stance is categorically against opening roads in the occupied territories of Georgia. Thus, Armenia again left alone with itself with its occupation plans in relation to its neighbors.